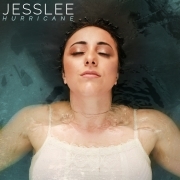 JESSLEE is an American singer,ASCAP songwriter, and recording artist. Recently a contestant on Season 14 NBC The Voice-Team Blake. The thrilling experience put her in front of top celebrities like Trace Adkins, who said, “JessLee, I like female vocals that are just powerful just pow sit you back in your seat.” She turned the chairs of both Kelly Clarkson who said, “JessLee you are amazing you are a phenomenal singer” and her coach Blake Shelton who said, “JessLee has this very powerful rock edge.” , “JessLee your attack singing the chorus, you just have such a grip- an attack.” and JessLee, what you naturally had on this song was your attack.” But Alicia Keyes best described JessLee when she said, “That was a beautiful testament to you JessLee reminding us that you are country rock, I think that is a cool way to show that you have major versatility. You don’t back down, incredible job, well done!” JessLee is staying ahead of the musical evolution and she brings an innovative country rock style like no other. She has created her own genre that she calls “Punktry”. It is best described as Avril Lavigne meets Carrie Underwood. JessLee spent her early years in Loxahatchee, Florida, where wild hogs, snakes, dirt roads and big trucks were the norm. Born into a family of musicians, music was always playing in this female country singers house. JessLee says family and music are her everything. Although she enjoys all genres, early on, she took a strong liking to country/rock music. On June 15, 2018 JessLee will release her second original song EP:”Strong”. Excited about this new style of music she calls “Punktry”. It is innovative and fun. Keeping her lyrical and instrumentally country and rock but added influences of artists she grew up loving. As early as kindergarten she was invited to sing with the Young Americans. She also performed the National Anthem at many events. She still says that the National Anthem is one of her favorite songs to sing. She has been in front of large audiences at Major and Minor League (Marlins, Cardinals, Braves) baseball, college and high school stadiums. She has performed it at many other venues and events including the Military Expo, Stephen Siller Foundation, Aaron Vaughn Foundation, and POW/MIA National Foundation. She’s won many vocal competitions as a country singer. JessLee wrote her first song at age nine, “Hold it in Your Hands” and won Florida State PTA contest. Since then, she has continued to write many more music songs. She was the Regional Winner of the 2016 Treasure Coast I Heart Radio Country Showdown. All JessLee® music can be found on Apple Music, Amazon, Spotify, Rhapsody, Google Play, and many more sites. 4/17/2015 released: JessLee Just a Kiss 5 song EP. It includes her original singles: Just a Kiss, Move Along, Mama Raised a Lady, I Meant it with you and She’s Me. October 24, 2015, kicked off her Combat Veterans Motorcycle Association (CVMA) fundraiser. She donates $2.00 from every sold album: “JessLee Just a Kiss” to the CVMA. 11/12/2016 She released her single: Christmas in America (Dedicated to veterans and their families who can’t be together at Christmas time). Feb. 2018 JessLee The Voice released “I’m with You” (cover) by Avril Lavigne and JessLee & Kyla Jade The Voice battle song “One More Night” by Ariana Grande. June 15, 2018, JessLee released her album “Strong”. It immediately hit 77 on iTunes Charts. June 21, 2018, JessLee released her 2nd original song music video which is the 2nd track on the “Strong” album called, “My Favorite Song”. October 1, 2018, Releasing cover of “The Fighter” with Matt Rivera (Punk Goes Country) featuring JessLee. Stay tuned for more details on JessLee and her country music ventures!